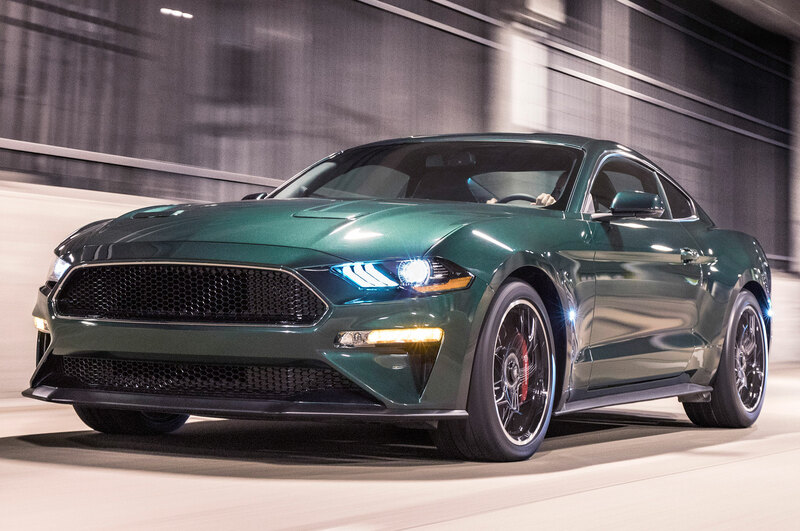 SAN FRANCISCO, California — I spent my first few hours driving the new 2019 Mustang Bullitt mostly hating it. 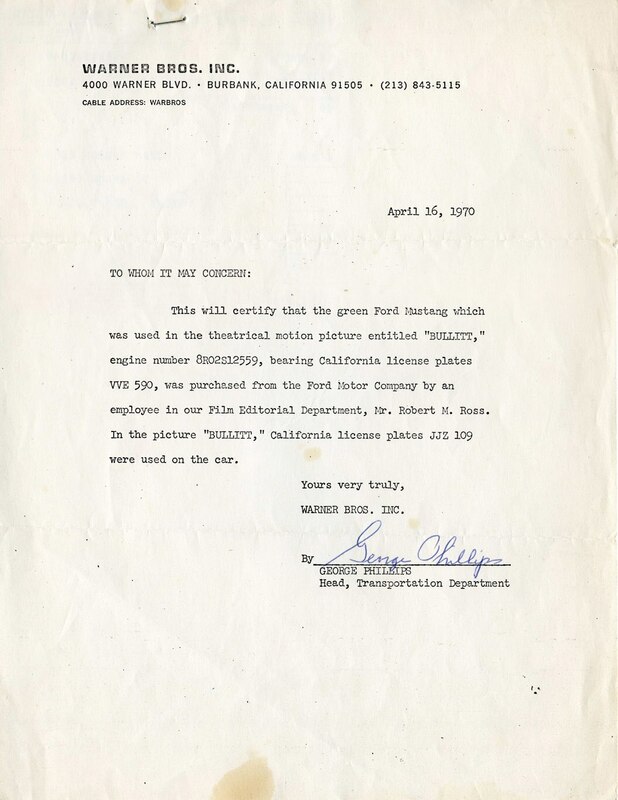 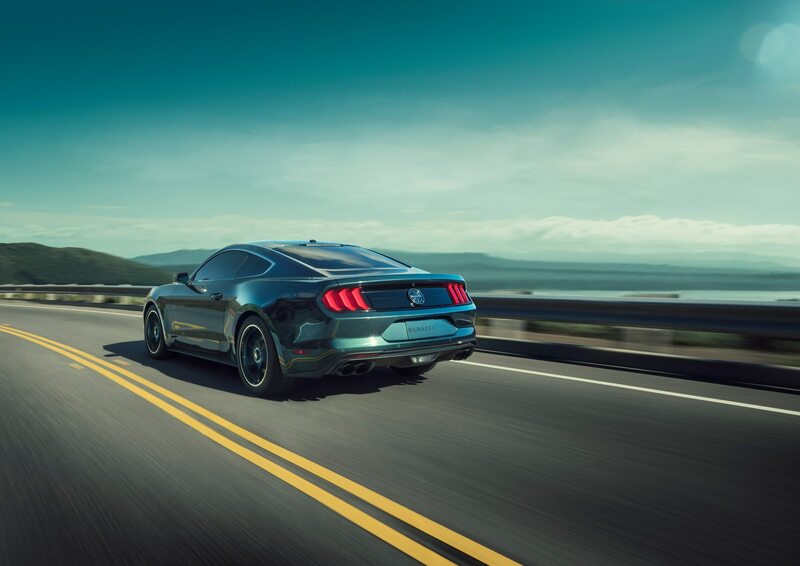 Somehow, it seemed as though Ford had managed to tune in solid-axle behavior to the car’s independent rear suspension; it sashayed over bumps and Botts’ dots like a drunken cowboy. 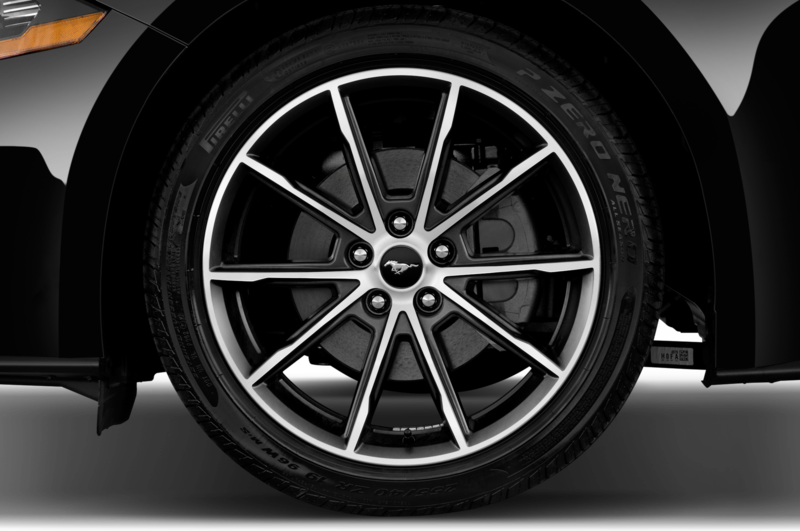 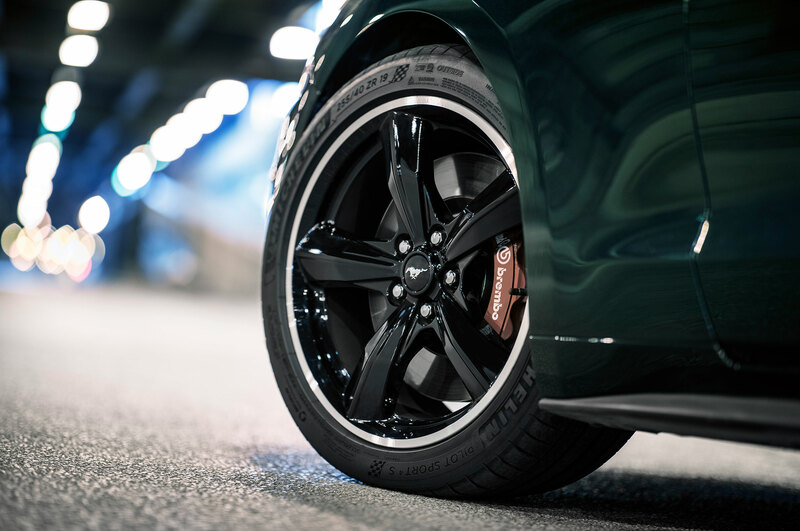 The Michelin Pilot Sport 4S tires were taxed to the limit even in moderately spirited driving, singing a pre-disaster squeal at just six tenths and allowing the ABS to intervene in surprisingly mild situations. 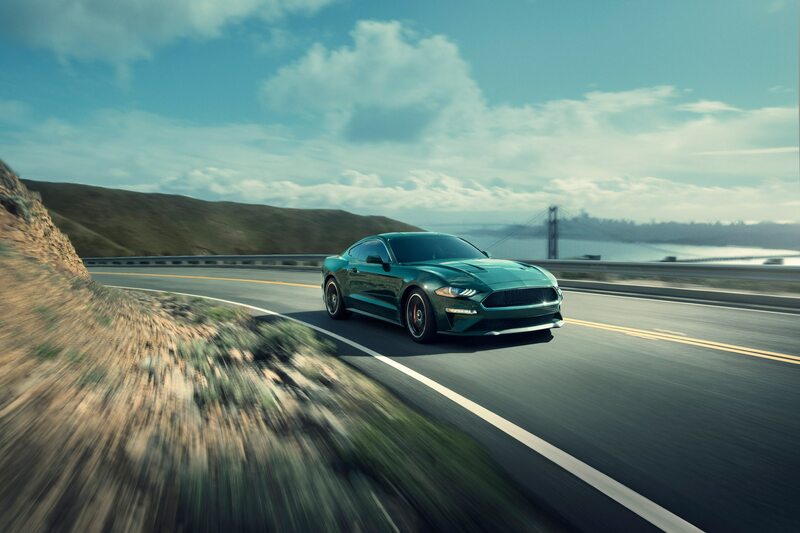 The extra 20 horsepower generated by the Bullitt’s lightly massaged 5.0-liter V-8 felt all but imperceptible, and in-gear acceleration in anything past third was pokey at best from below 4,500 rpm—despite its 420 lb-ft of torque rating. 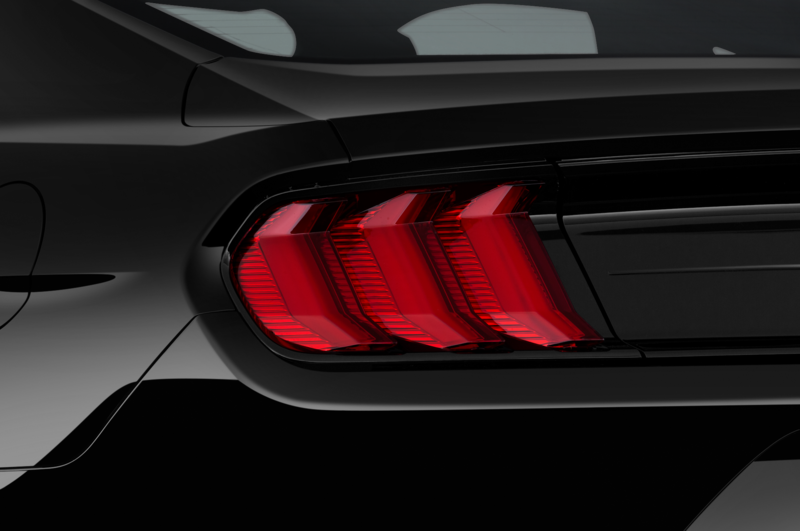 UPDATE: Now with video below. 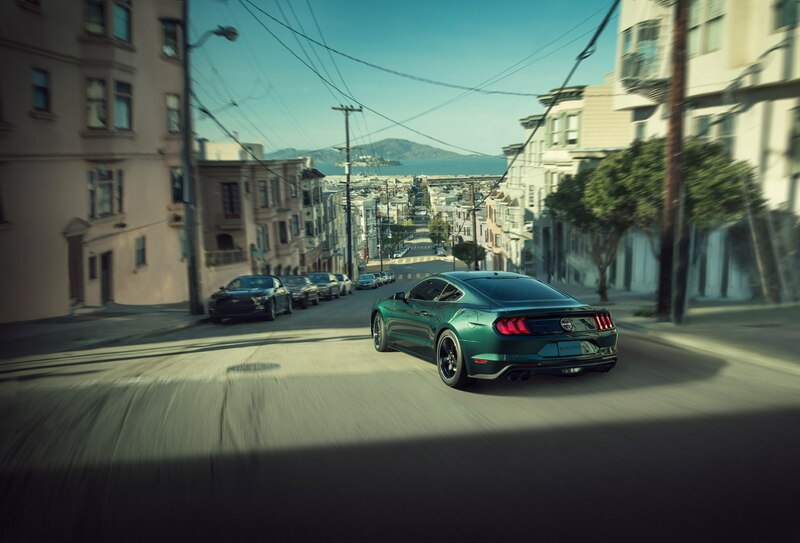 And what could possibly fulfill the legend of “Bullitt” any better than a Dark Highland Green (it’s also available in black if being movie color authentic isn’t that important to you) Mustang with the right hood vents, the right grille, and the right setup to make you briefly feel as though you’re opening the door to SFPD Detective Frank Bullitt’s famous ’68 Fastback? 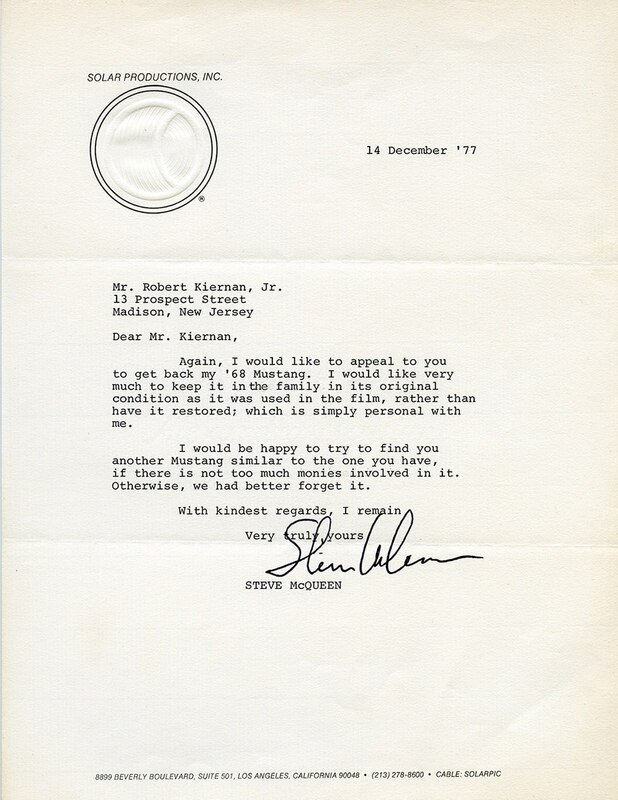 He had to get groceries from time to time, too, right? 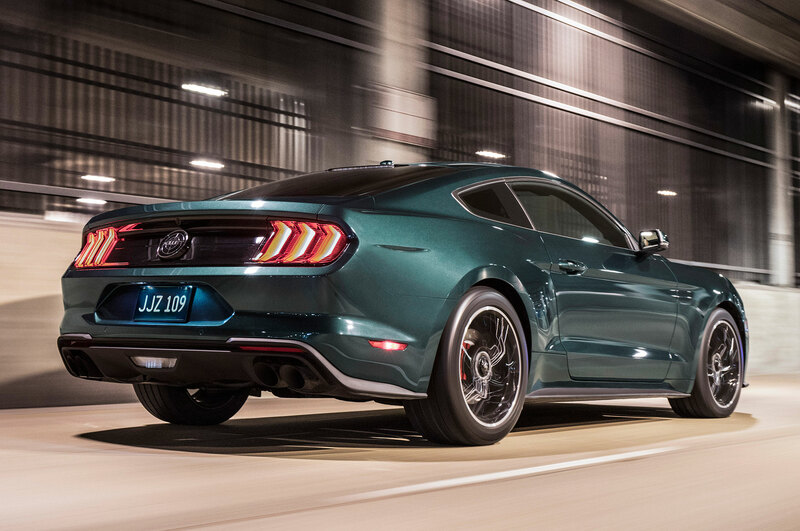 Even if you’re not a fan of the film—or at least not enough of one to spend some $4,000 on top of a similarly configured GT—this still might be the right car for you if for no other reason that it’s currently the best-looking factory Mustang money can buy. 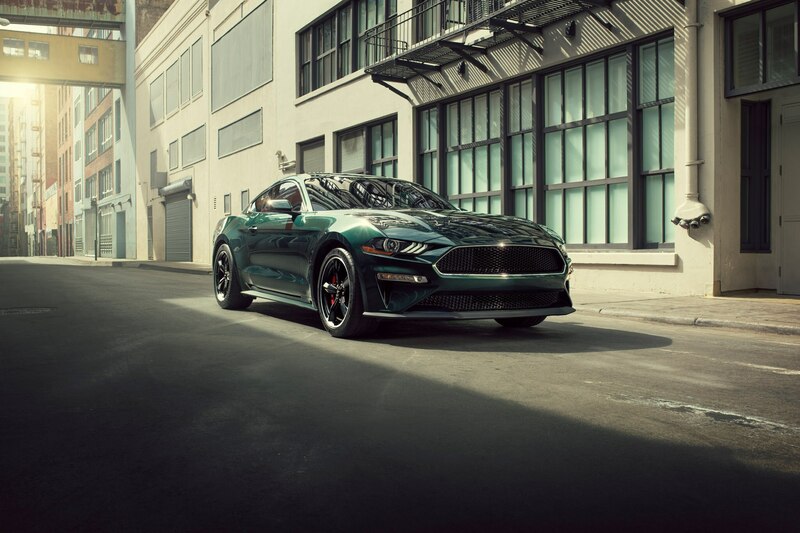 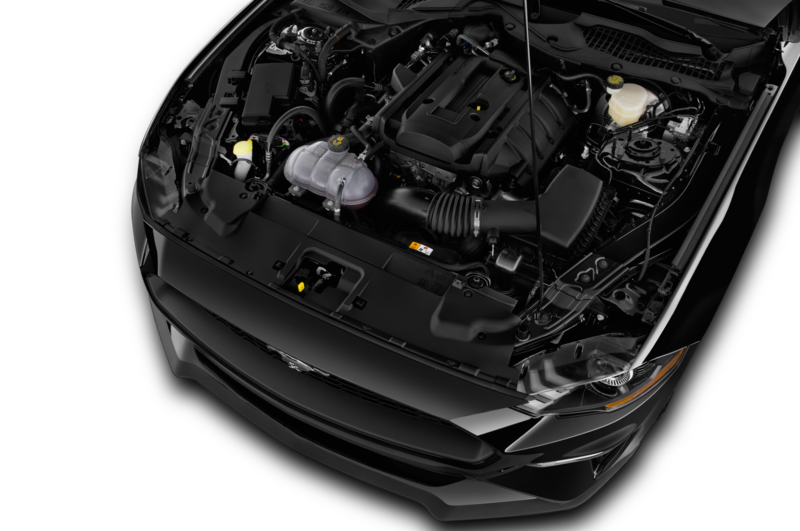 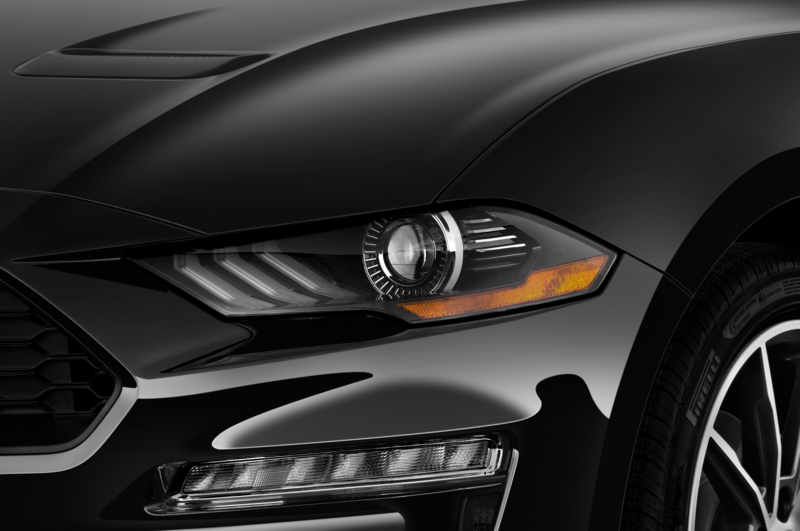 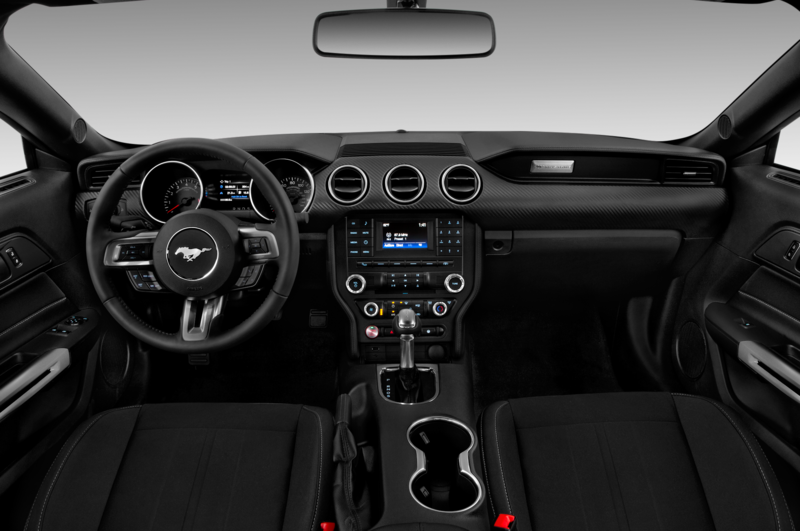 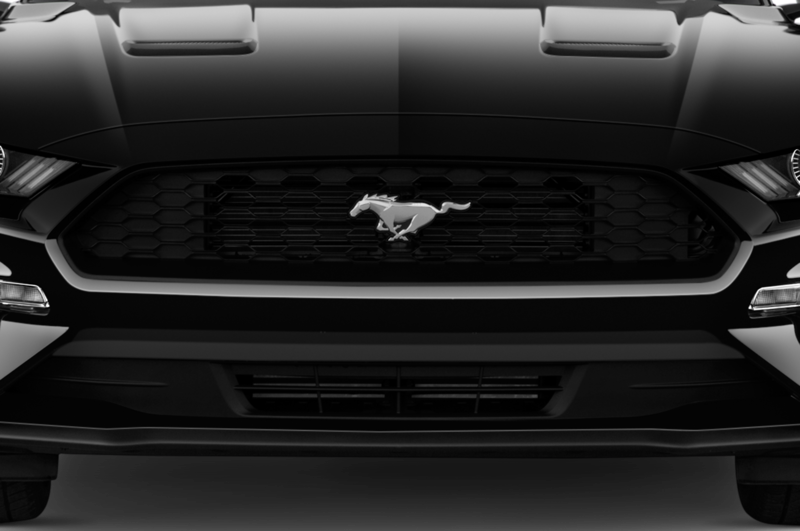 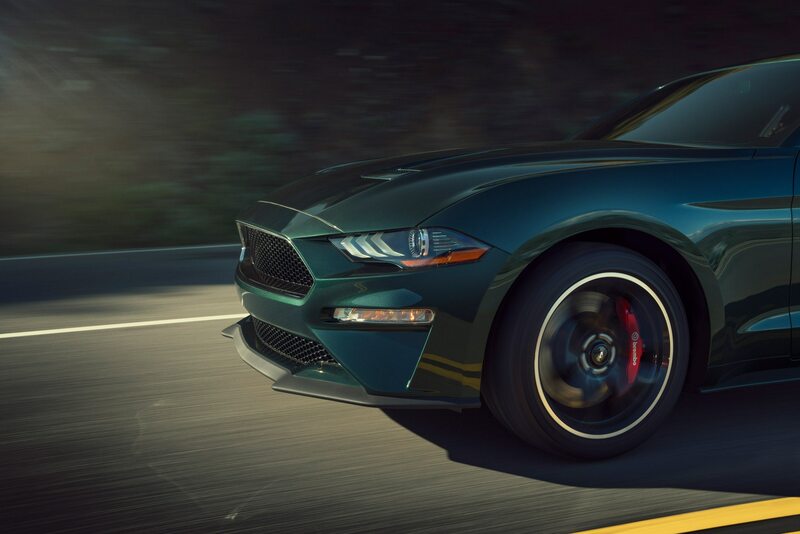 The Bullitt’s clean, blank grille, American Racing-style throwback wheels, cue ball shift knob, and green accent stitching inside are all small but important touches that really improve the Mustang GT’s look and feel. 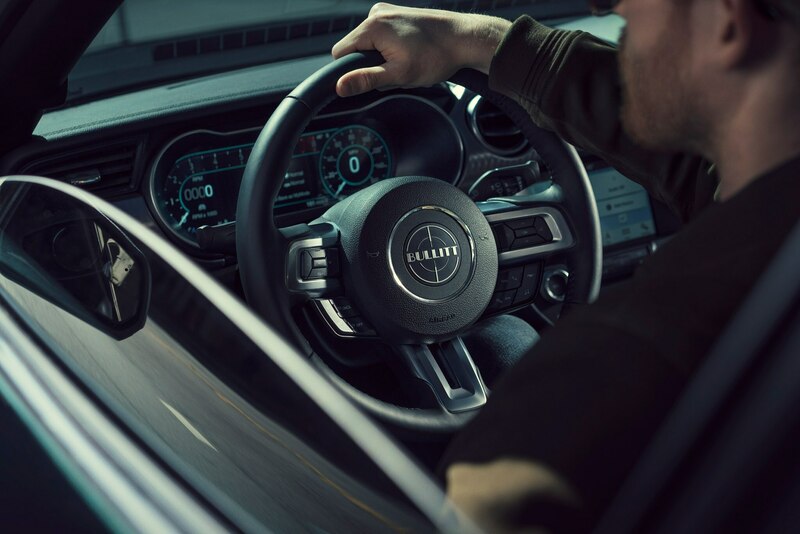 Those in the know will nod and wave; those with no clue will still turn their heads to watch you drive by. 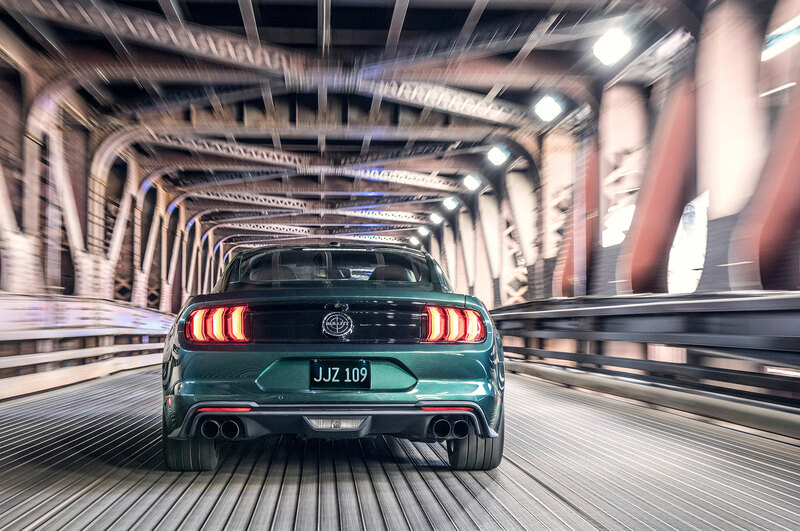 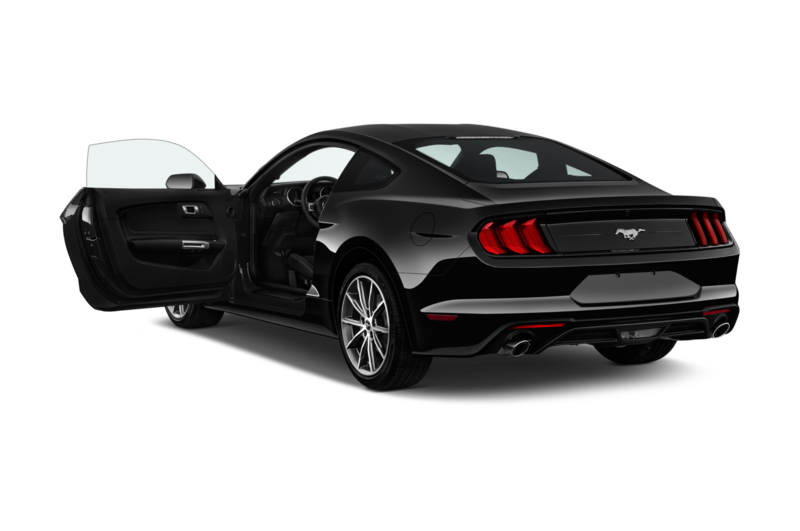 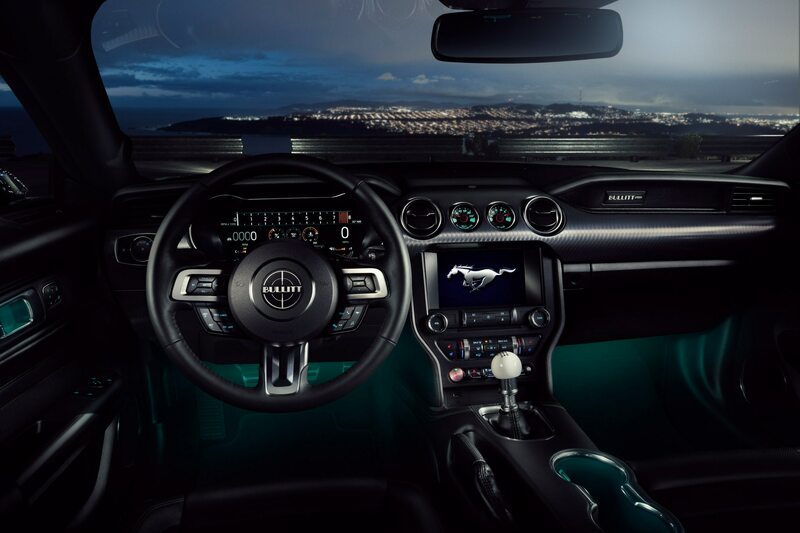 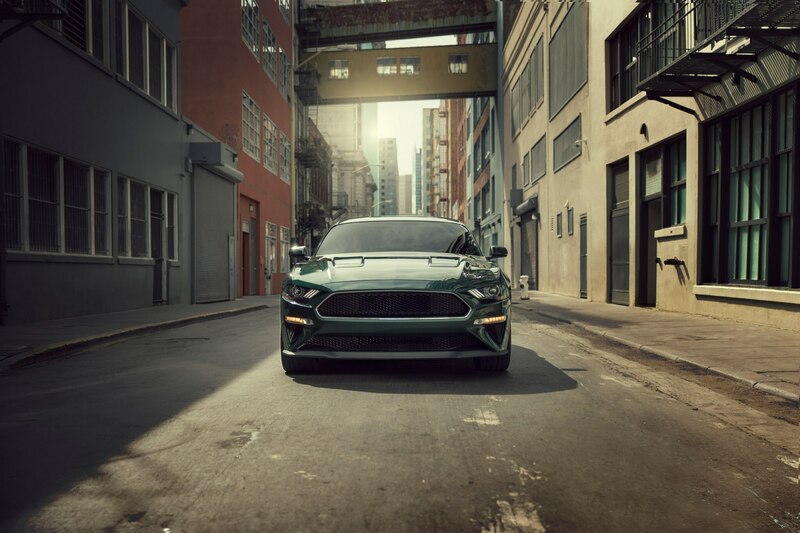 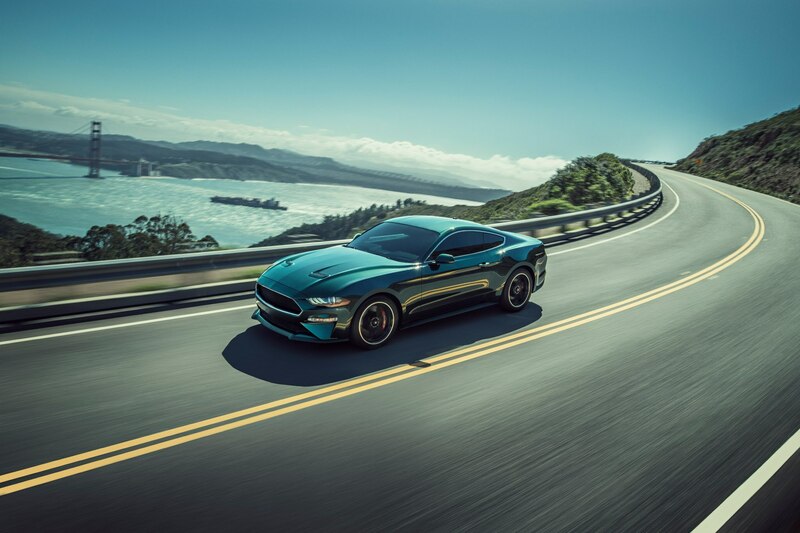 The best single aspect of the new 2019 Mustang Bullitt, however, is probably one of the things you’ll remember most from the movie: its sound. 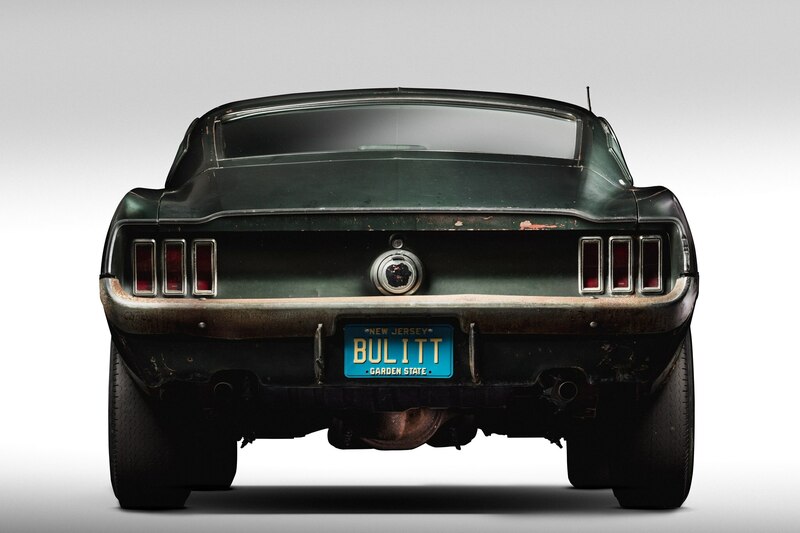 “Bullitt” was an Oscar nominee for best sound, and for good reason. 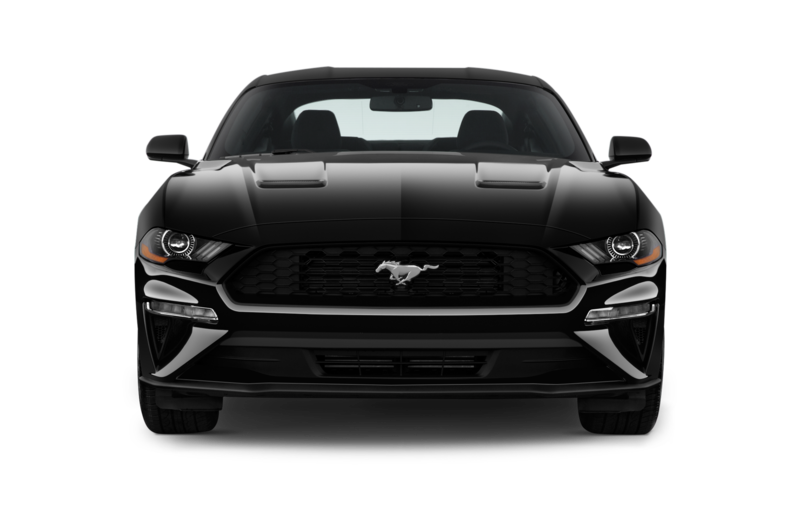 While the movie’s chase scene itself is a brilliant display of realistic driving, it was the roaring engines and squealing tires that landed the gut-punch. 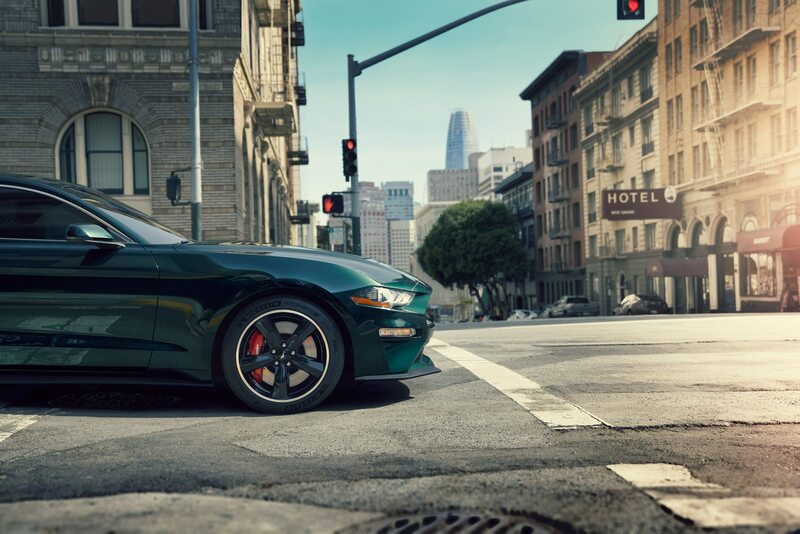 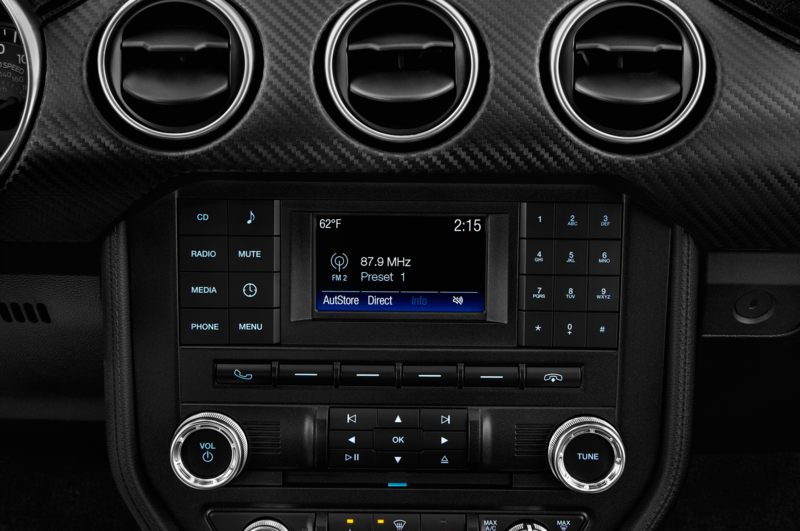 Thanks to those talkative Pilot Sport 4S tires and the standard-for-the-Bullitt adjustable exhaust, you can now play your very own live version of that soundtrack every time you start it and can ratchet it up by selecting the car’s Sport+ or Track modes. 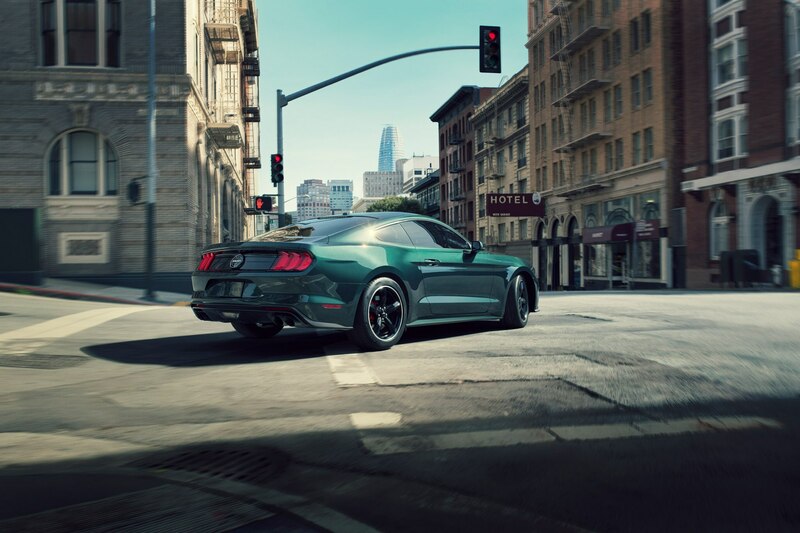 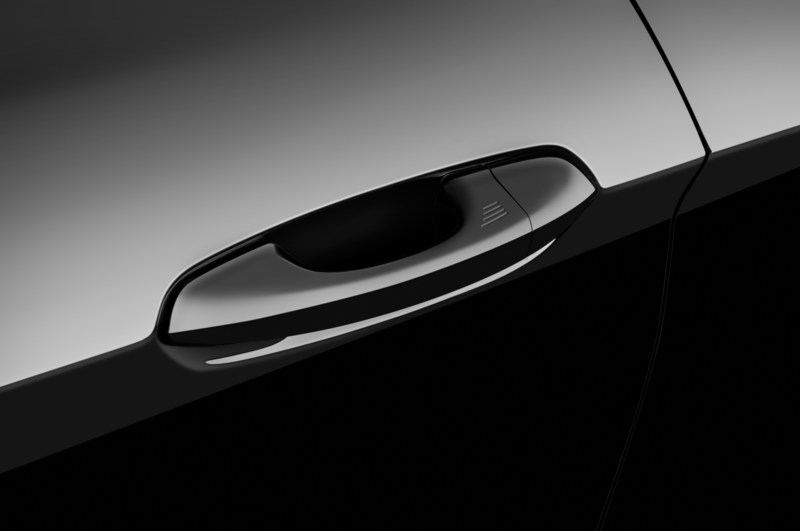 Should you wish to hush things down a bit—don’t want to wake the baby or that grouchy neighbor—the adjustable exhaust also lets you select “quiet mode.” Though not exactly silent, it’s definitely quiet enough to sneak out of the neighborhood well before the sun comes up without anyone the wiser. 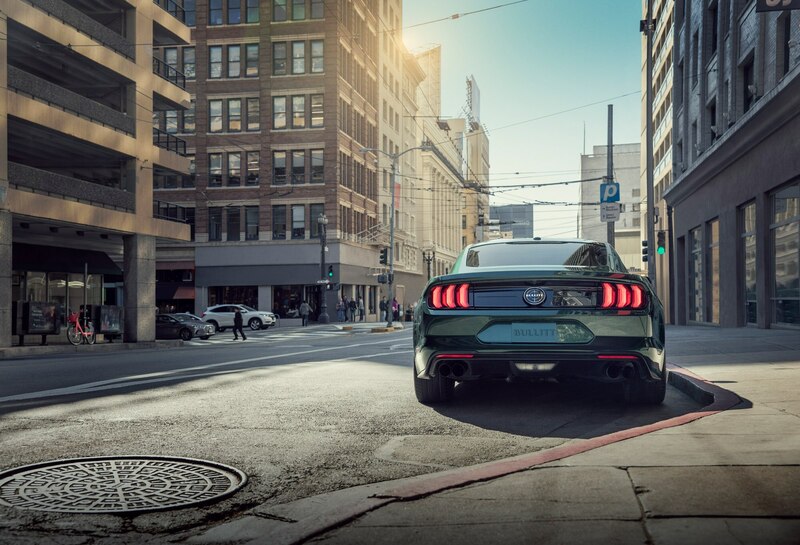 For those of you prone to shenanigans on the street, it’s also the least likely to get you busted for roasting the tires down your favorite back road. 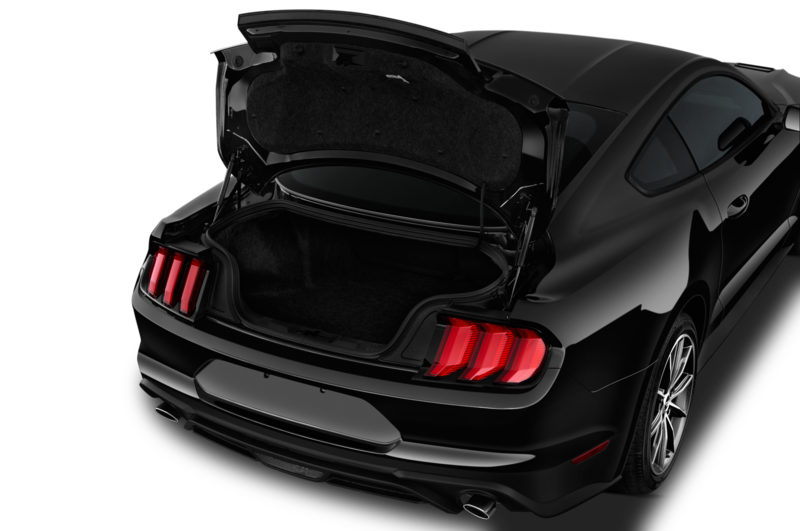 Sound travels faster than smoke, after all. 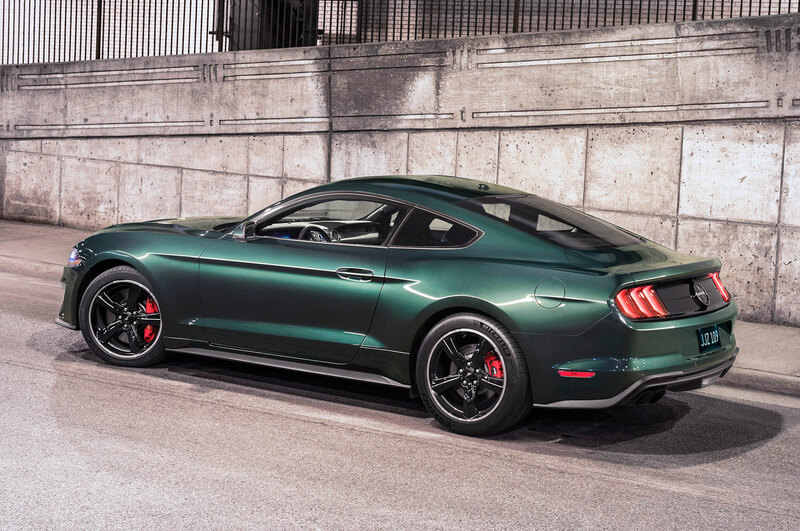 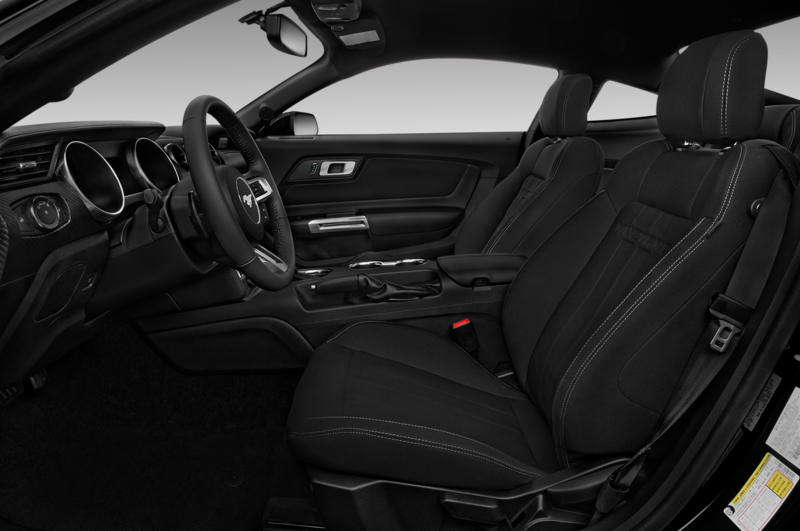 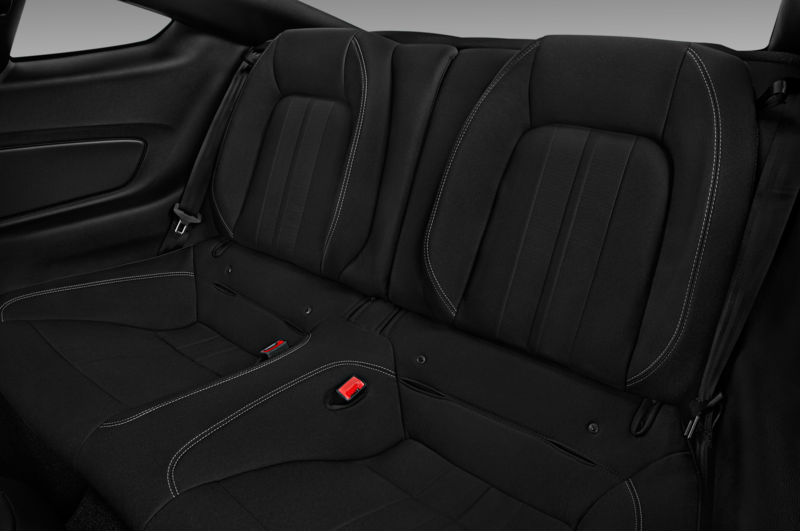 Given it’s an already well-equipped special edition model, there aren’t a lot of options available for the Bullitt, but one you’ll want to test drive for yourself—and an extended test, if you can—is the Recaro seat option. 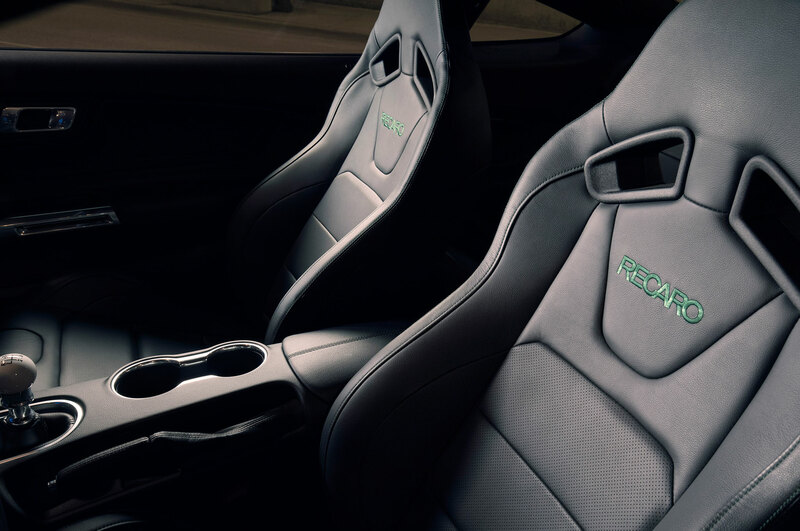 They look good and have a much sportier vibe than the standard seats, but the Recaros are firmer and more aggressively bolstered than the standard GT seats and could wear thin with you as they wear in. 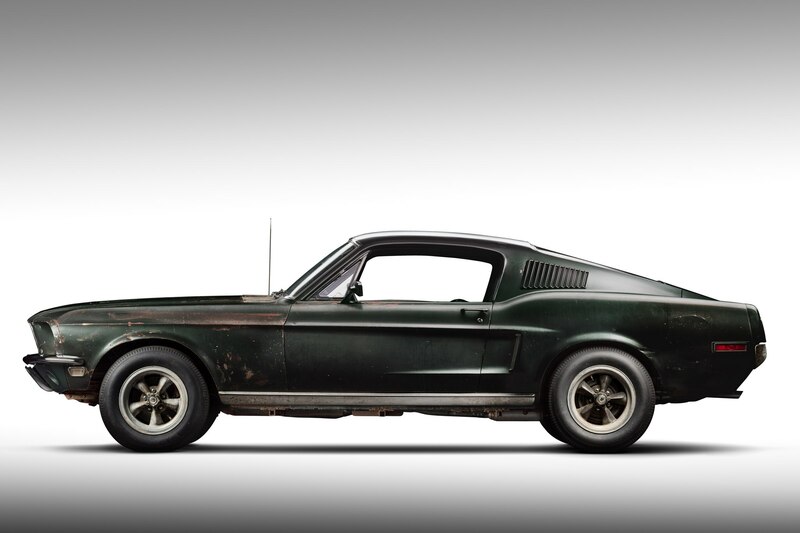 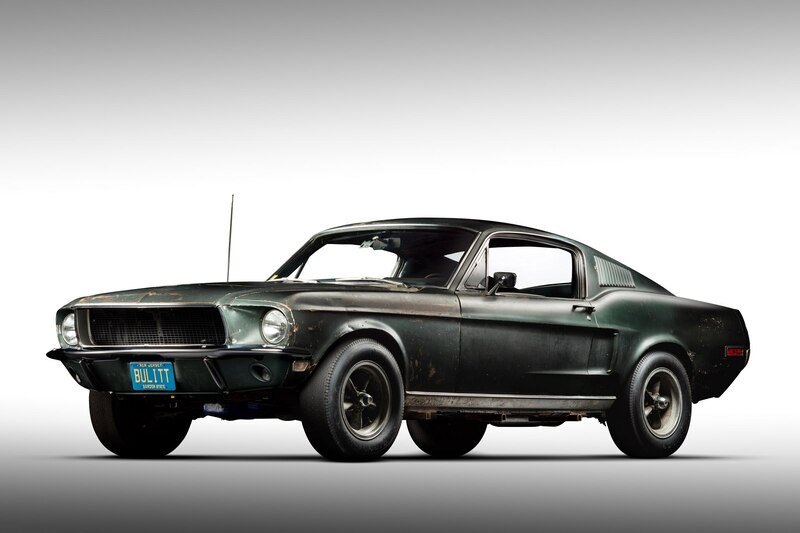 Also, the original Bullitt didn’t have Recaros, so there’s that. 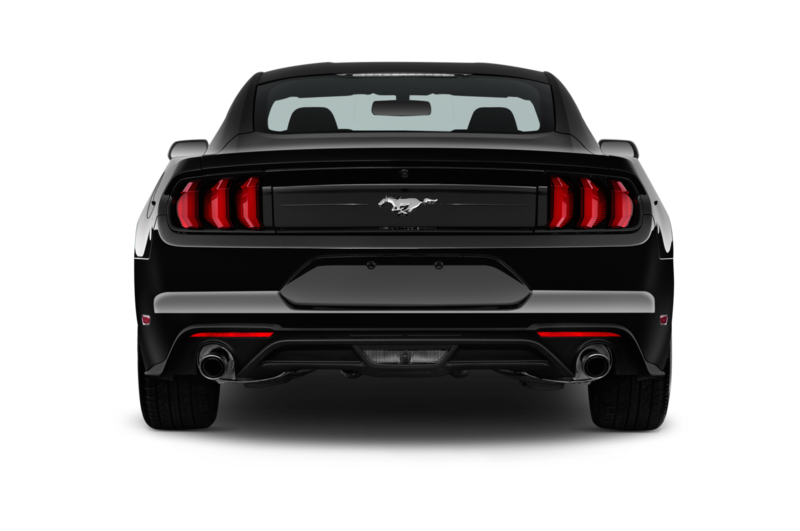 The MagneRide suspension damping system is another option, one you should most definitely pony up for. 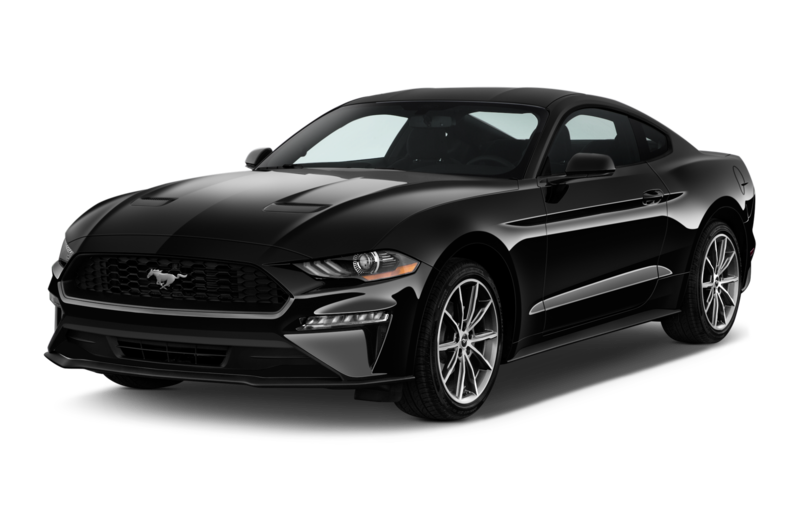 The difference is clear and significant, with the MagneRide system handling just as well and riding much more comfortably, especially over the sort of pavement you’re likely to find in and around San Francisco. 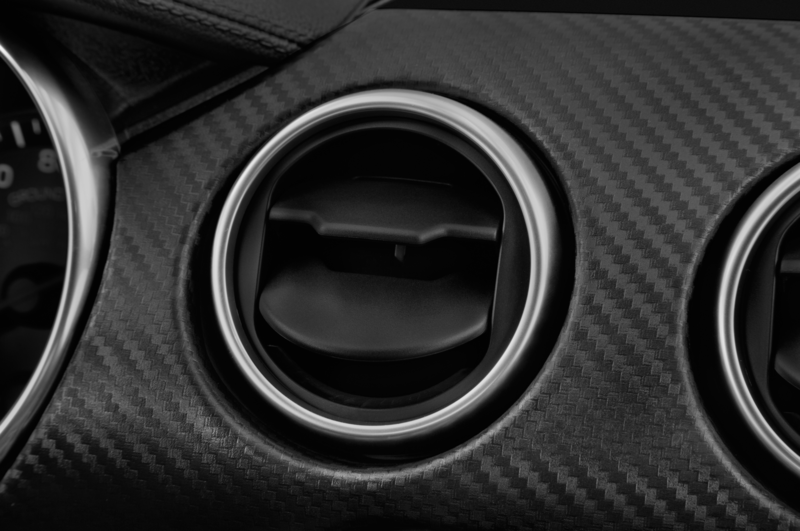 Not optional? 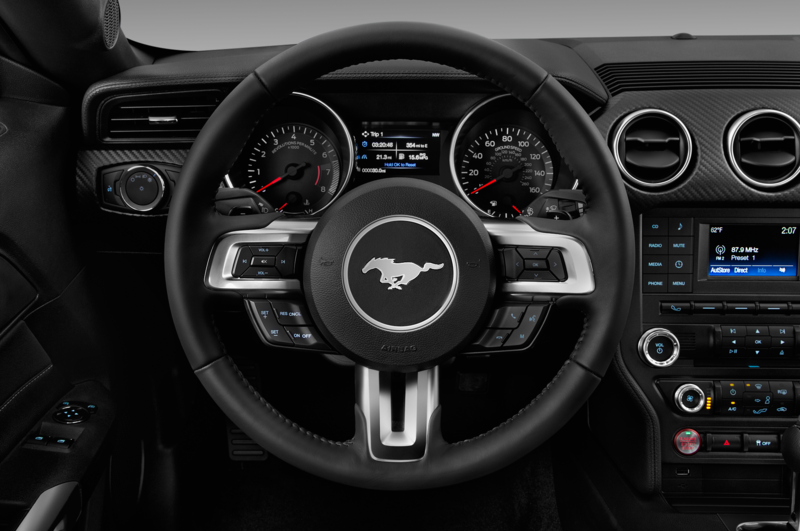 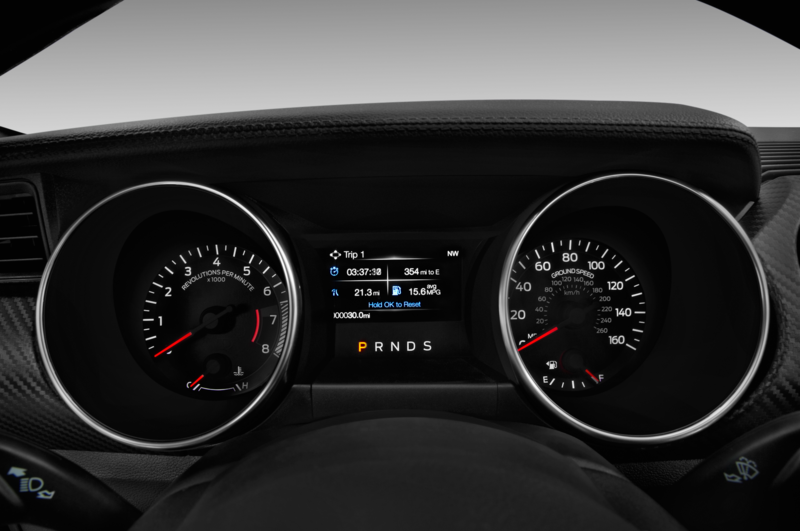 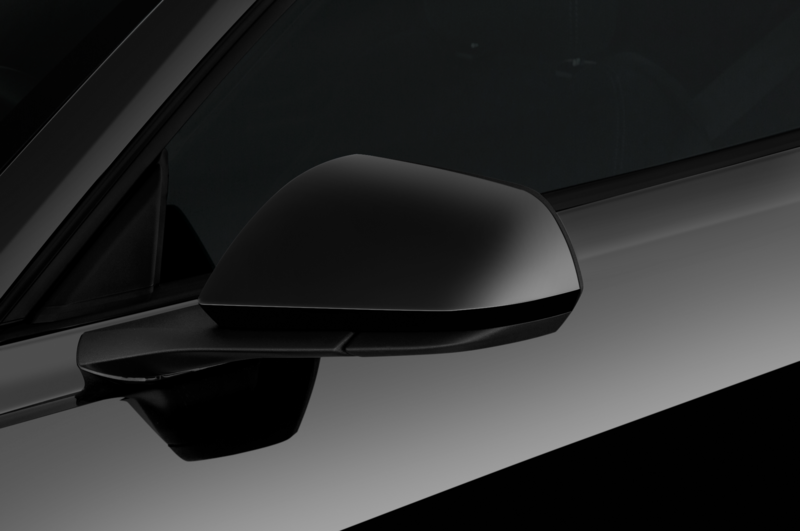 Its six-speed manual transmission. 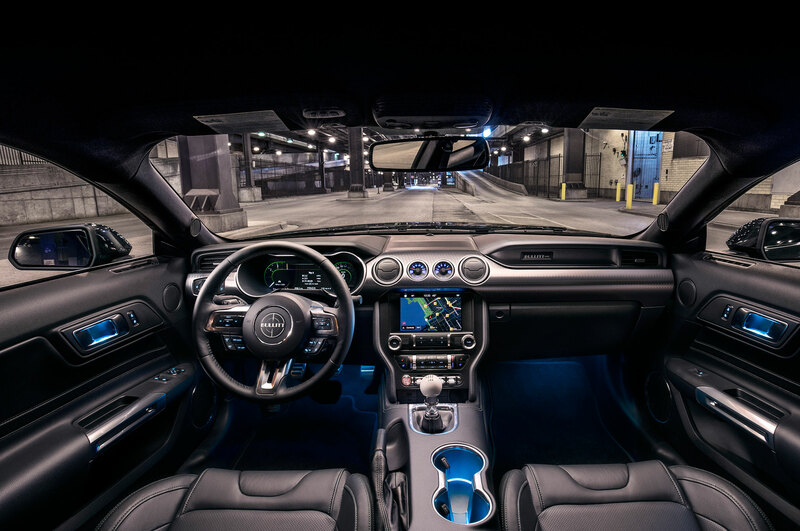 Can’t row your own? 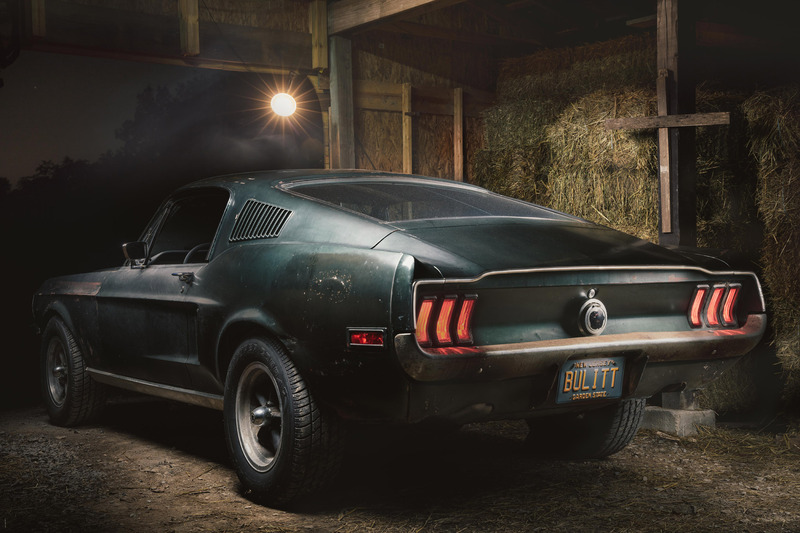 Then you don’t get to play Frank Bullitt. 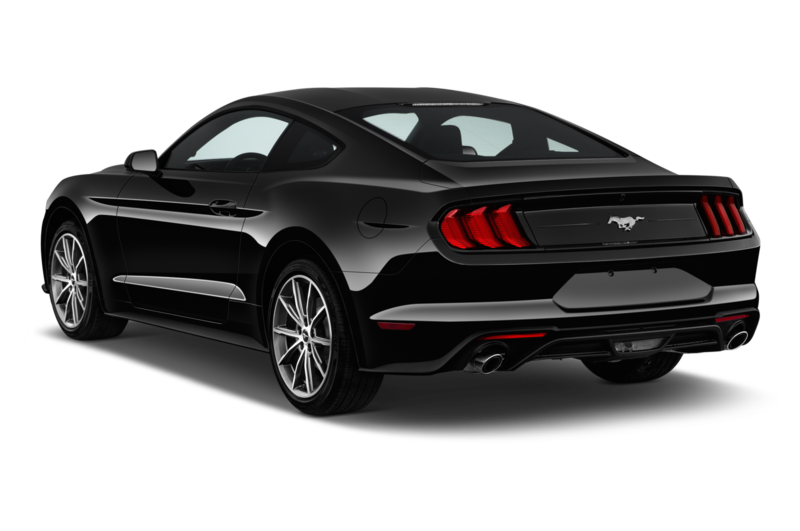 I’m perfectly fine with that. 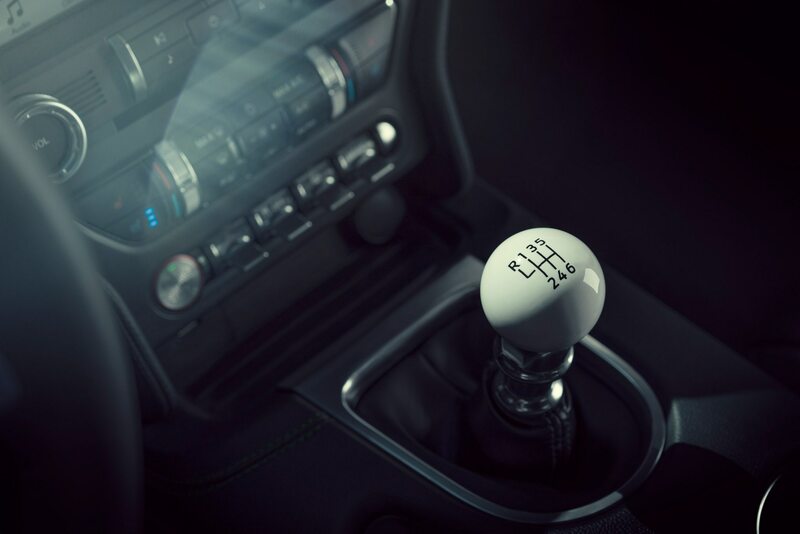 Its slick cue ball shifter would look weird on a slushbox lever, anyway. 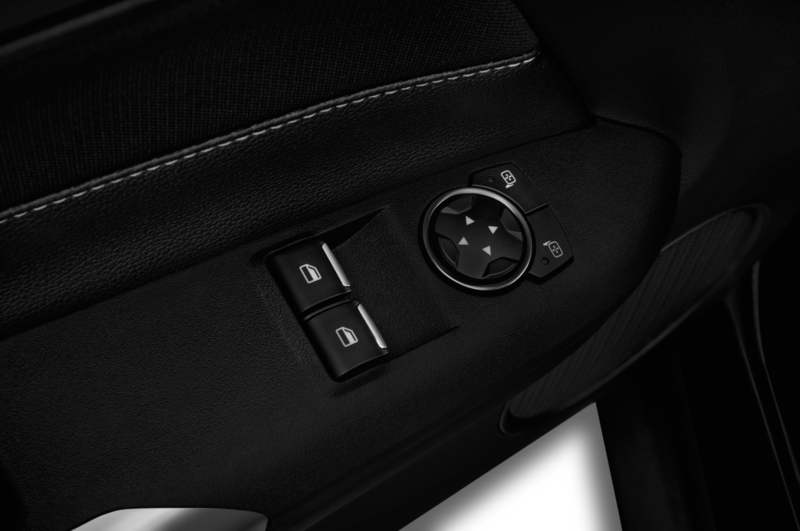 The only beef to be had with the manual, aside from some general clumsiness to its shifts, is the inability to turn off the rev-matching downshift feature with an actual button. 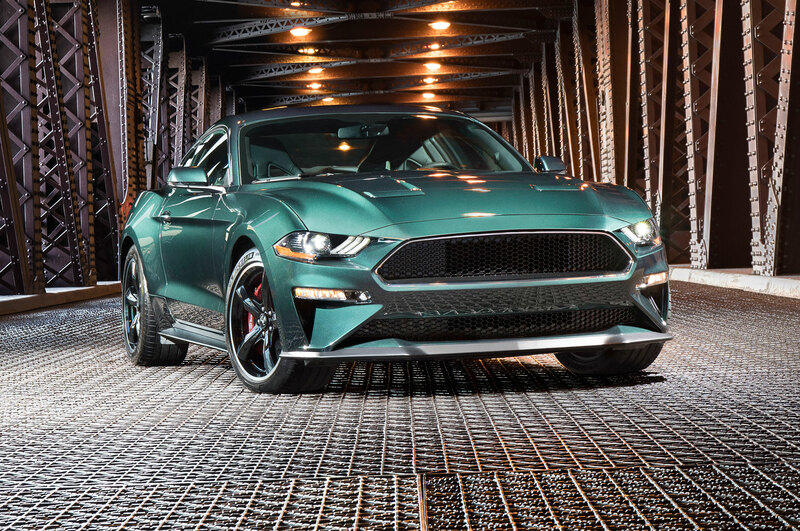 There’s room to quibble with just how badass the new Bullitt might be if it were trying to chase down, say, a Camaro SS 1LE instead of a Charger. 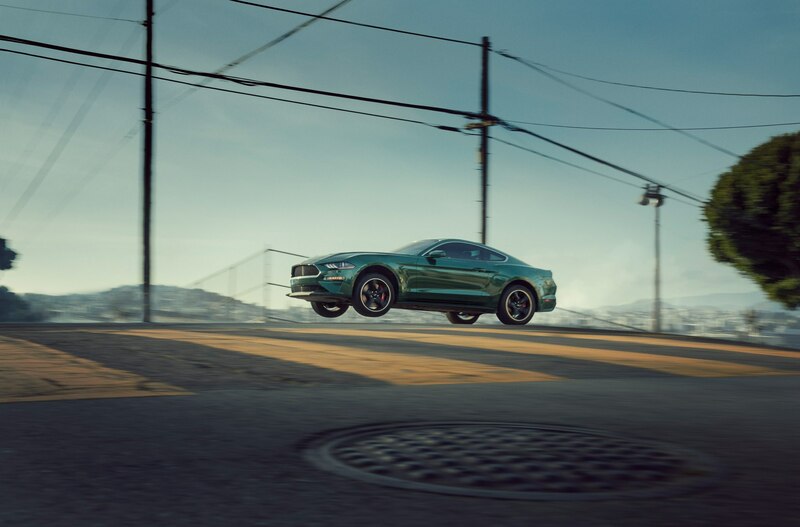 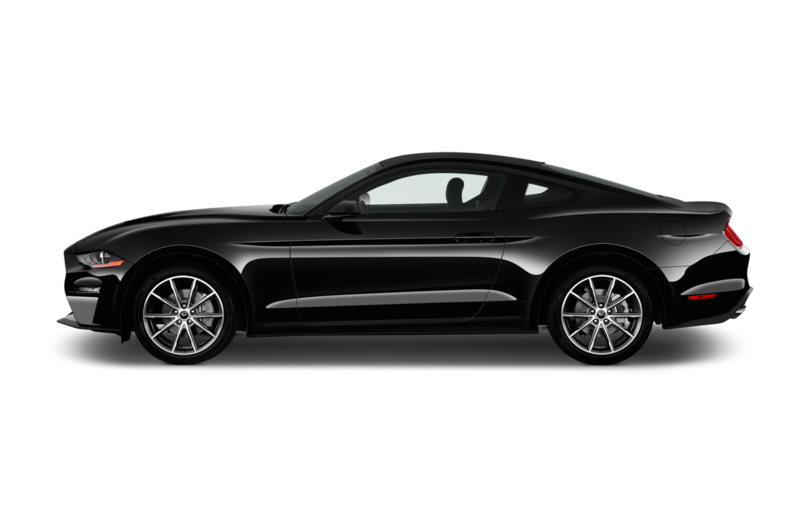 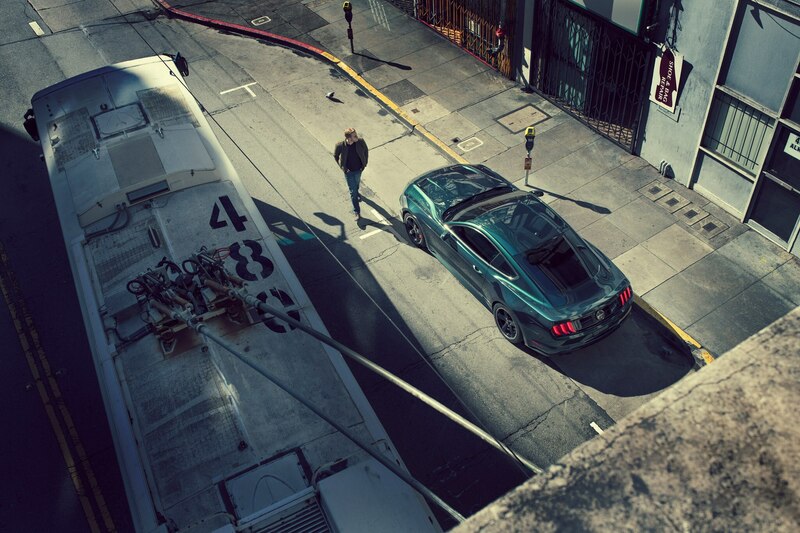 But there’s no doubt that taken on its own merits and as a tribute to a film legend that a normal person can afford to park in their driveway, the new Mustang Bullitt is as badass as it gets.